Jigsaw puzzle created from original artwork by collage artist Maggi Mason. 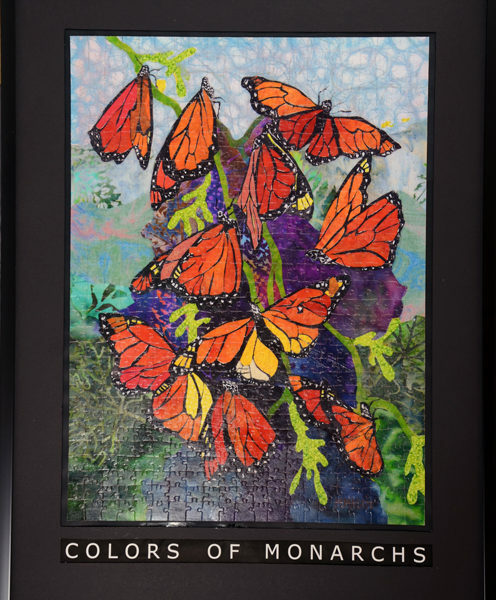 The Colors of Monarchs jigsaw puzzle features the colorful monarch butterflies. 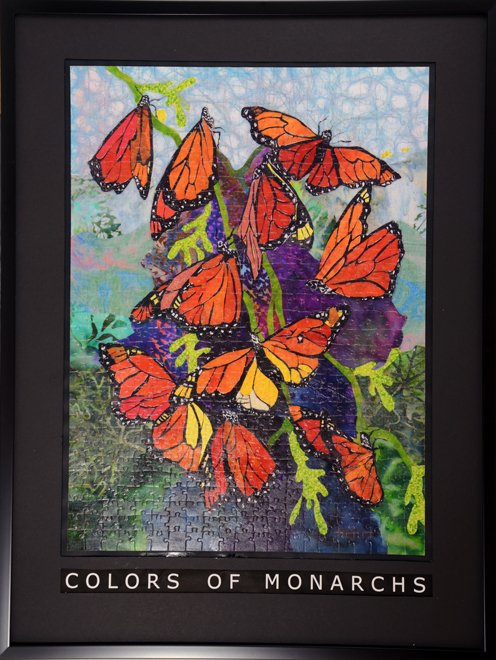 The monarchs are famous for their beauty and the stunning sight of their annual migration. 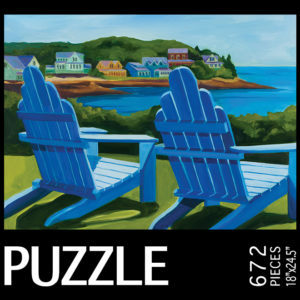 Now you can capture them in your living room with this puzzle. 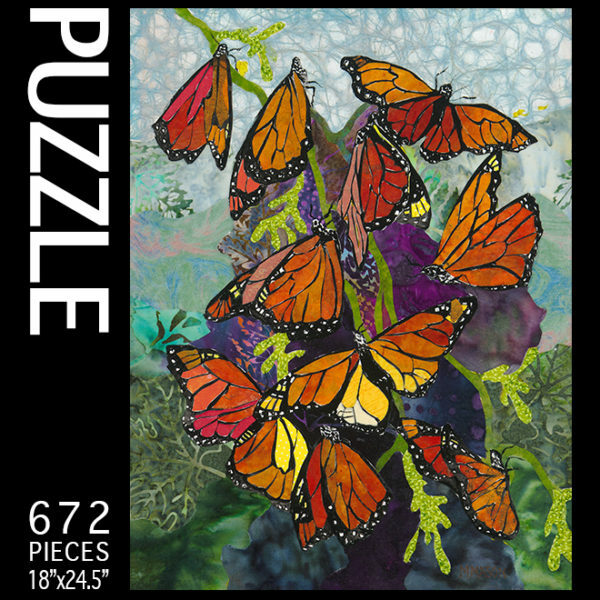 The Colors of Monarchs Puzzle is created from the original artwork of collage artist Maggi Mason. When observing the monarchs, you cannot but admire the wonder of nature. Embrace the transformation process. 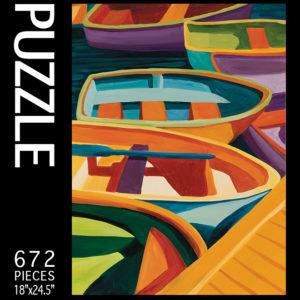 Putting jigsaw puzzles together is meditative and a lot of fun. 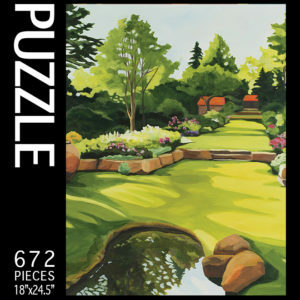 When completed, it will make a beautiful wall decoration that will bring you stress-relief year round.